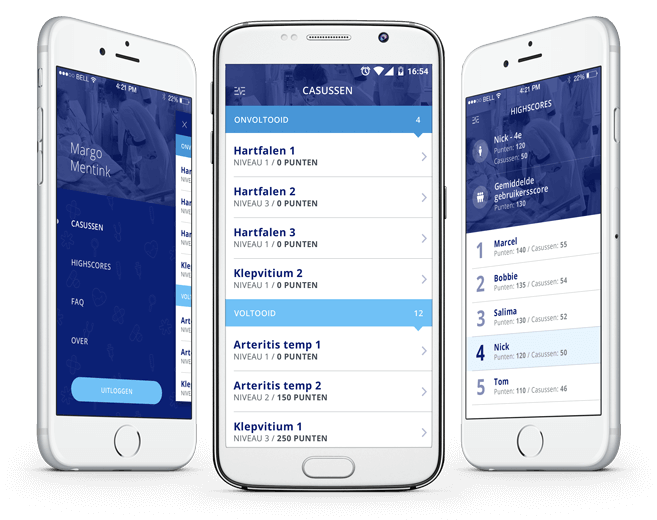 The Erasmus MC Clinical Challenge is an Android and iOS exam application that enables medical students to practice physical examinations. It is a challenging application where students make diagnoses in a time-restricted period. Students are tested on their skills and knowledge in a relevant medical field with the help of multiple choice questions and video materials. At the end of each case study, the student scores points and can compare it with previous results or the results of other students. The contents of each test, questions, answers and videos for the exam are manageable through a Content Management System (CMS). 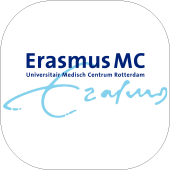 If you want to know more about Erasmus MC visit their website. The student can register with his EUR students email address. Then he can log in with his data. Practice physical examination with the help of multiple choice questions and case studies. Practice the physical examination using a short case and multiple choice questions. 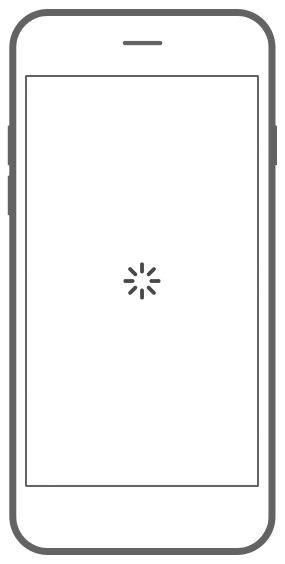 As soon as the user clicks on 'patient examination' or 'answer questions', the timer starts. The timer keeps track of how fast you completed the test, this affects your final score. Each case contains videos about the specific topic. These videos provide more insight into the patient's situation. Each case study contains videos on the specific topic. These videos provide more insight into the situation of the patient. Each test contains various questions about the chosen subject. User can also see the accompanying videos. After answering all questions in the test, the user must confirm completion. The achieved score is then fixed and can not be edited afterwards. The test itself can be re-run again. After completing the test, you can check the correct answers. You can also see the total score. Compare your scores with others. Additional background information about the app. "We wanted to create an additional training environment for medical students. On the basis of realistic medical cases, they can learn how to interpret heart and lung sounds. 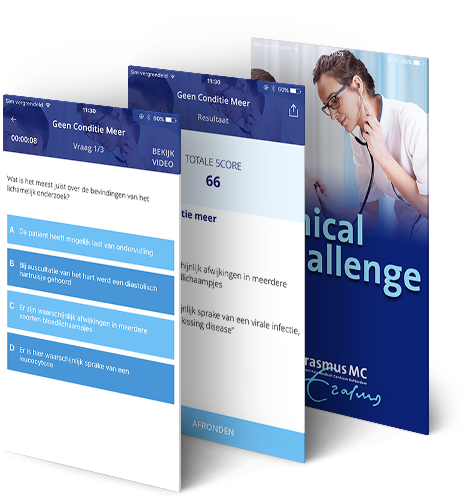 In collaboration with DTT we have developed Clinical Challenge app, so students can easily practice their knowledge. DTT was a reliable partner; employees think along with you, quickly answer questions and provide qualitative results. Through a good rating system with highscores and attractive animations with sounds, it resulted in a good app. Students are excited about it and are more eager to learn." 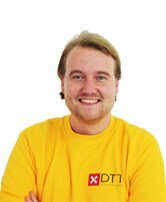 DTT Blog: Erasmus MC: "Reliable Partner DTT"